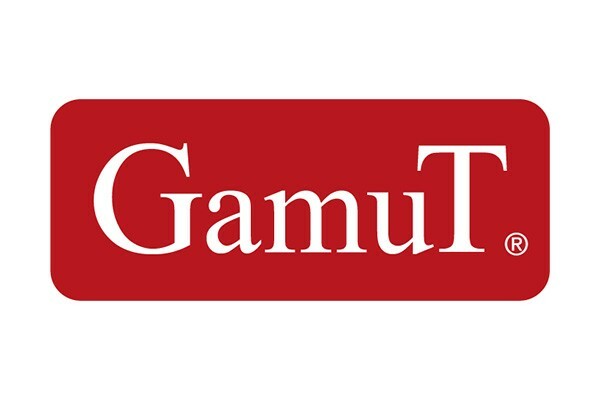 GamuT is here for your music! GamuT is here for the music. We live and breathe to give you high class musical experiences at your home. We want you to enjoy your favorite music – whatever taste you might have – and get the feeling, that you are not at home, but right where the music is being performed. Yes we know that we set a high and almost impossible goal. But we are pretty close already. The way the human ear and magnificent brain, interprets all sounds is yet to be duplicated by any measurement instrument or laboratory. Therefore you need more than calculations and measuring tools to create the perfect loudspeaker when it comes to reproduce music, voices and other complex sounds. Every product is listened to through thousands of hours before set in production. Of course we measure everything we can. But it’s always the human ear that have the last word. GamuT offers you a complete range of electronics, speakers, connections and cables. Every single part is created and built to live up to very high quality standards. And of course every GamuT product is perfectly matched in order to give you the genuine GamuT feeling when used together! GamuT S-Series’ was originally released in 2007 and at that point scaled new heights in musicality relaying the true character and harmonic structure of voices, instruments and the recording environment to an astonishing degree. The RS series is based on the same principles and the design is very similar. But almost every detail has been changed to create a series of speakers that is even better at doing what the S-series did fantastic! Externally, the RS-Series cabinets look almost identical to their predecessors. But the enclosures, internal networks, damping and the drivers are all new. The new curved enclosures consist of 21 individual layers of real wood. This enclosure eliminates distorting resonances and delivers more natural harmonics and a greater 3-dimensional soundstage, while retaining natural tonal balance. All internal cables are now Gamut’s own Wormhole Signatures: Again, this improvement led to all new internal damping, resulting in a 50% reduction in damping materials while maintaining an optimum damping level. A new wood-fiber cone bass driver and new midrange driver with a new crossover made the transformation complete. The overall effect is stunning micro- and macro dynamics, natural midrange reproduction with a precise and detailed bass. Our Phi series is built on love for music and years of acoustic research with a wish for best possible integration into your living environment. Phi proves that High End performance and musicality is at the same time affordable, beautifully looking and rewarding for both experts and novices. With an optimized production setup we can now offer this exquisite, strong and inert enclosure solution for music lover to enjoy outstanding performance from real world priced speakers. The combination of all of the advantages from the new enclosure, the new higher performing bass/mid drivers lifts the performance of the new Phi's way above what can be expected in this sice and price range and gives the phi's a performance level belonging to the top of audiopile musical speakers. integrated amplifier, stereo, mono and dual mono amplifiers as well as the renowned CD player. CD3 is a CD player created on the sonic experience we gained from the highly acclaimed CD1. The CD3 is restructured and specified from scratch, focusing on electronic and mechanical stability. With the CD3 we are approaching the performance maximum of the Compact Disc as we know it. The heart of the CD3 is a non-magnetic steel chassis. The chassis divides the inner space into three separate cabinet compartments, allowing the power supply, the audio signal and the DA-conversion to run completely isolated. This construction eliminates noise, distortion and interference completely. The CD3 is built with extremely silent and linear components. Likewise, the DA-conversion is implemented with state of the art technology like the Burr Brown PCM 1792 converter.